We are currently working on the 2018-2019 tournament schedule for the San Bernardino Division. We do have some dates and venues already confirmed. UCR is awaiting approval from their Athletic Departments for dates. 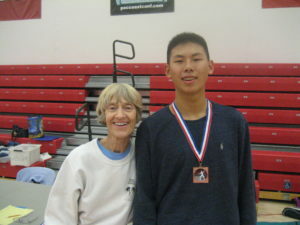 Dates that have been confirmed are posted to AskFred and you may pre-register now. Keep watching the San Bernardino Division website for updates. Epee (l-r): 1st place, George Fuller (UCSB), 2nd place, Ashton Arrington (DFA), 3rd, Ryan Lee (Swords), 3rd, Matthew Lee, (Beverly Hills Fencing Center). 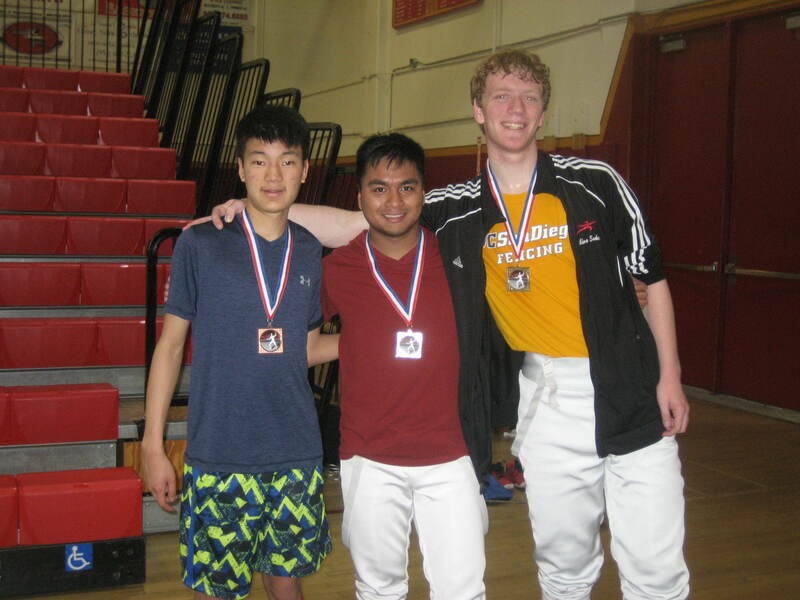 George earned his A18, Ashton and Matthew earned their B18 rating in epee! Foil (l-r): 1st place, Kim Isaiah (Golubitsky), 2nd place, Luke Goldade (South Coast Fencing Center), 3rd, Landon Lam (Golubitsky), 3rd, Pavle Medividovic (USC Fencing). 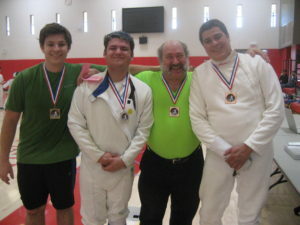 Saber (l-r): 1st place, Nick Richardson (DFA), 2nd place Samuel Weinger, 3rd, Sam Signorelli (Swords), 3rd, Gabriel Lira (Arrowhead). 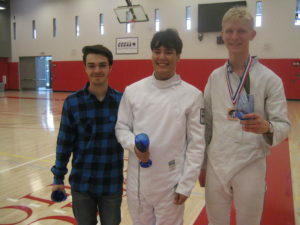 Nick earned his D18 and Samuel and Sam earned their E18 saber rating! 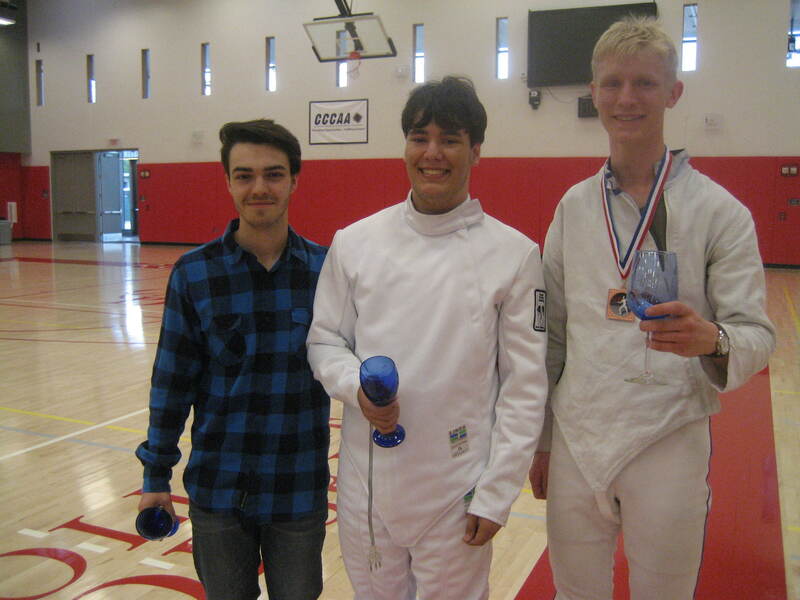 College of the Desert will host the May 12, 2018, 3-Weapon Open fencing tournament. This is the End-of-Season Awards tournament where the trophies are given to the top male and female foil, saber and epee fencers in the San Bernardino Division and to the top San Bernardino Division teams and clubs. 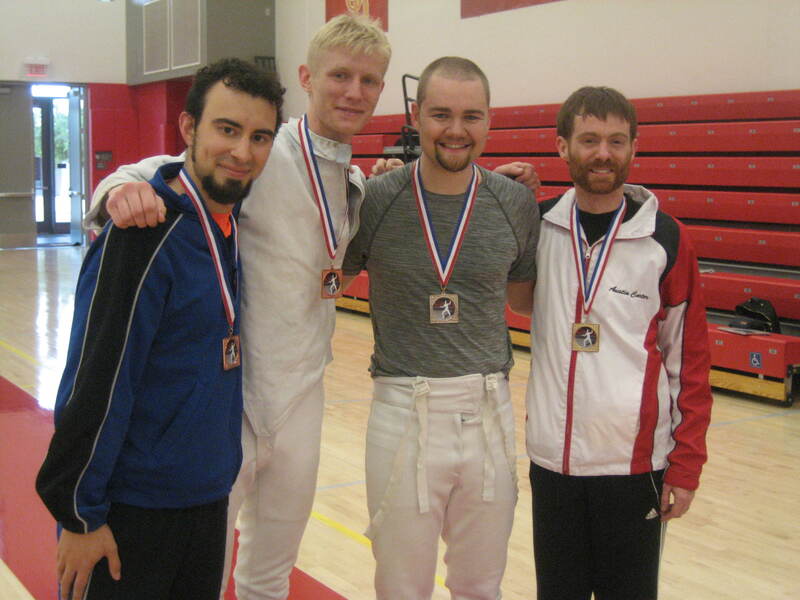 Close of check-in times are: 9:00 a.m. for Saber, 10:00 a.m. for Foil and 12 noon for Epee. The San Bernardino Division is currently working on the fencing tournament dates for the 2018-2019 fencing season. The Division and its Officers would like to thank all the fencers who come to our tournaments and make them exciting and fun. 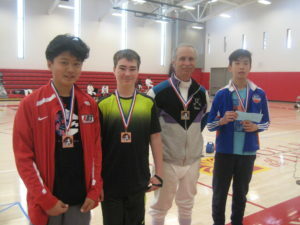 Epee (l-r): 3rd, Matthew Lee, Beverly Hills Fencers Club, 2nd place Maki Potes, H&S, 1st place, Alex Soderberg, Team Touche, and earning his A18 epee rating! 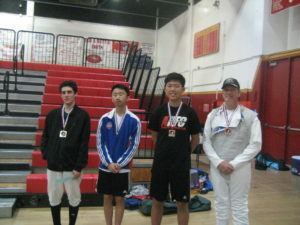 Foil (l-r): 1st, Theo Schenck, Lionheart, 2nd, Landon Lam, Golubitsky, 3rd, Justin Oh, Anaheim Hills Fencers Club, 3rd, Mark Johnson, Desert Fencing Academy. 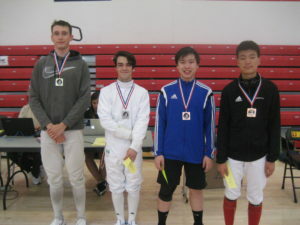 Theo earned his E18 foil rating! 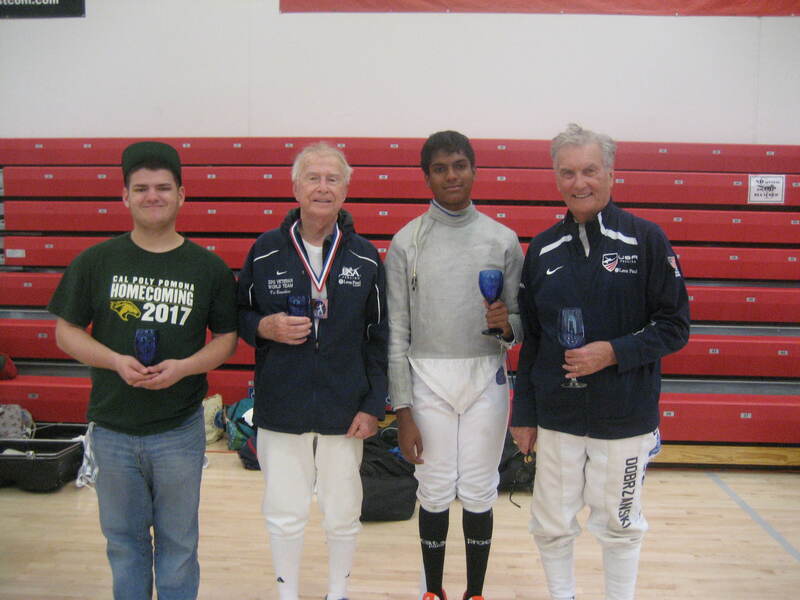 Saber (l-r): 3rd, Ian Maskiewicz, Desert Fencing Academy, 2nd, Samuel Weinger, 1st, Arnav Raja, Gryphon, and he earned his E18 rating in saber! There was a “pot o’ gold” for the fencers competing Saturday, March 17, 2018 at the 3-weapon open and “D” and Under held at College of the Desert. Saber (l-r): 1st place, Leslie Taft (DFA), 2nd place, Costa Nichols (DFA), 3rd place, Victor Bianchini (Golden Saber Academy), 3rd, Gabriel Lira (Arrowhead Fencing). 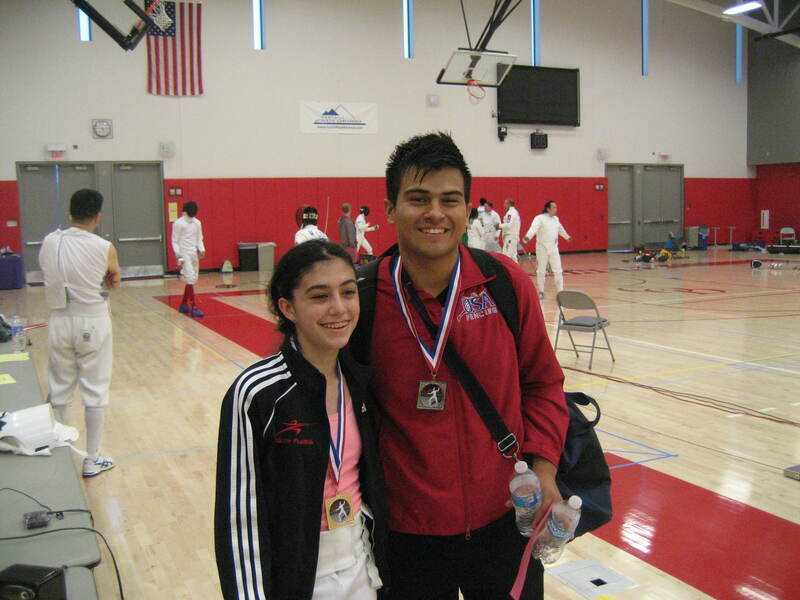 Leslie earned her E2018 saber rating! Div 3 Saber: (l-r): 3rd place, Samuel Weinger, 3rd place, Victor Bianchini (Golden Saber Academy), 2nd place, Arnav Raja (Gryphon Fencing), 1st place, Lucas Dobrzanski ( Kern Athletic Fencing). 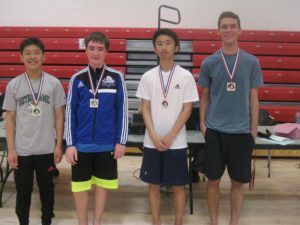 Lucas earned his E2018 rating in saber! 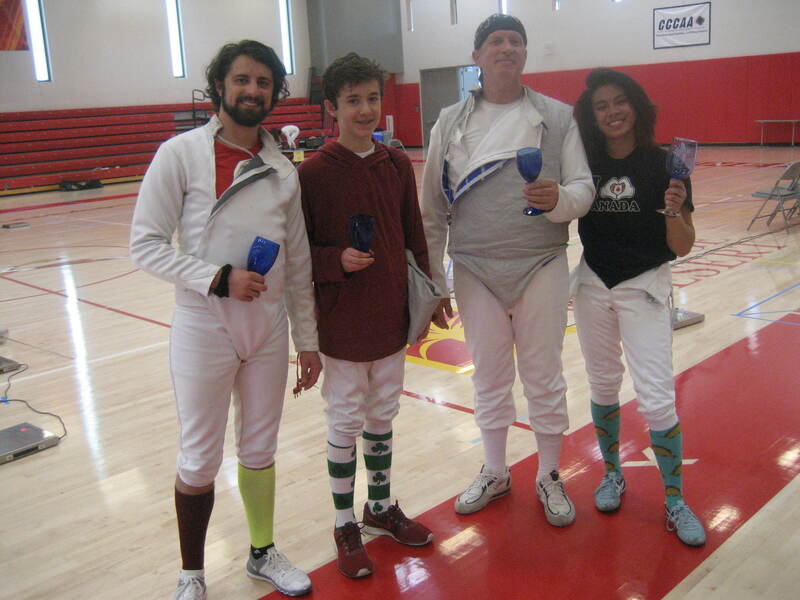 Div 3 Foil (l-r): 3rd place, Braden Wiegand-Shahani (Salle d’Escrime of Prescott), 3rd place, Paul Zappia (DFA), 2nd place, Mark Johnson (DFA), 1st place, Leann Labra (UCR). 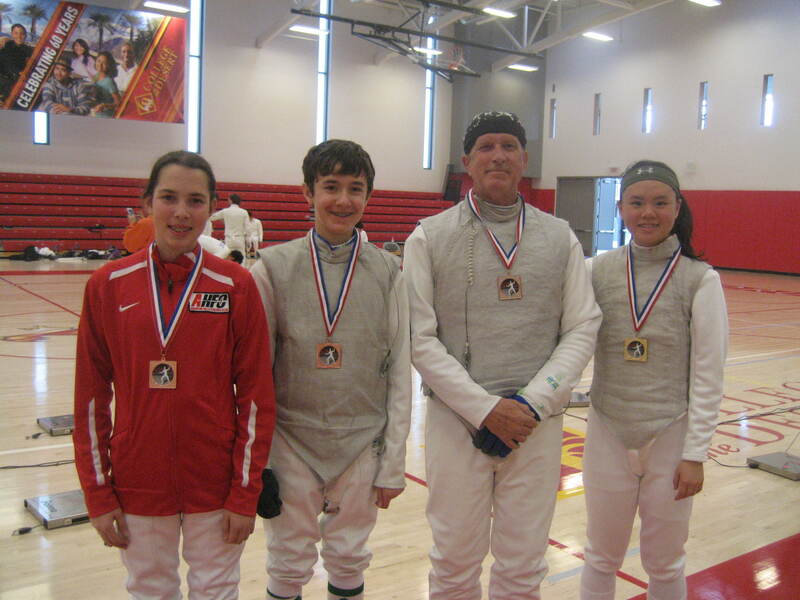 Foil (l-r): 3rd place, Emily Coward (Anaheim Hills Fencers Club), 3rd place, Paul Zappia (DFA), 2nd place Mark Johnson (DFA), 1st place, Christine Wang (Gryphon Fencing). 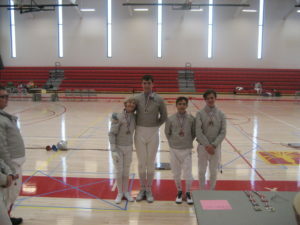 Epee (l-r): 3rd, place Charles Munoz (Wildcat Fencing), 3rd place, Caelan Creekmur (Southwest Fencing Club), 2nd place, James Fowler (Wildcat Fencing), 1st place, Austin Carter (Phoenix Falcons Fencing Club). 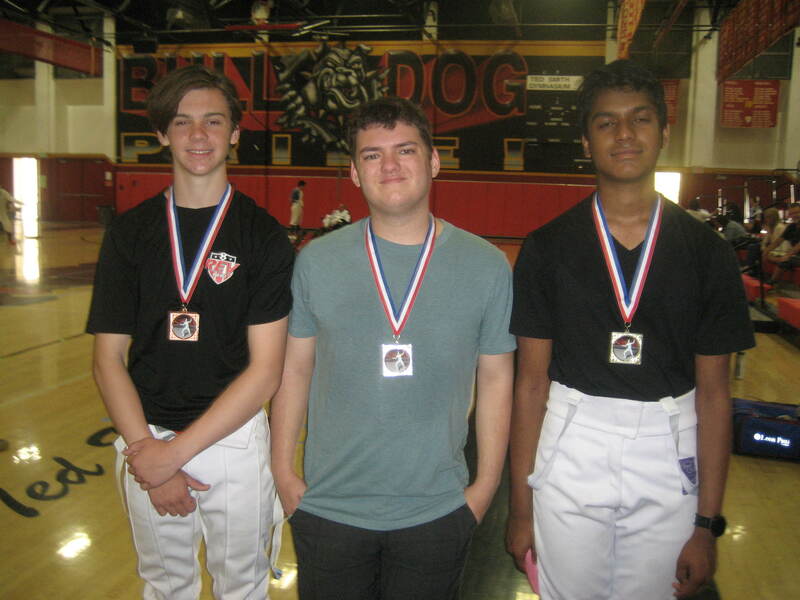 Caelan earned his C2018 and Austin earned his B2018 in epee! Div 3 Epee (l-r): 3rd place, Ashton Arrington (DFA), 2nd place, William McCloud (DFA), 1st place, Caelan Creekmur (Southwest Fencing Club). The February San Bernardino Division 3-weapon tournament was held at College of the Desert. 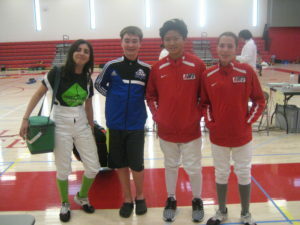 We had fencers from Colorado and Nevada with us! 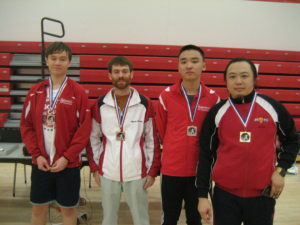 Epee, (l-r) 1st place, Chuck Alexander, No Fear, 3rd place Frank Hewitt, Cabrillo, 3rd place Mark Segal, No Fear, 2nd place, Daniel Rees, Rocky Mountain Fencing Academy. 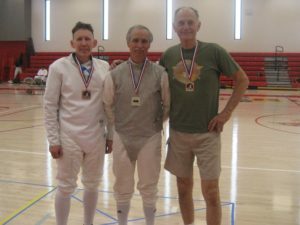 Chuck earned his A2018 epee rating! Foil, (l-r) 3rd place, Banseok Kim, Anaheim Hills Fencing Club, 3rd place, Luke Goldade, South Coast Fencing Center, 2nd place, David Moran, South Coast Fencing Center, 1st place and earning his E2018, foil rating, Jason Zhicheng Cai, Golubitsky Fencing Center. Saber, (l-r) 3rd place, Dennis Stephen, DFA, 2nd place, David Moran, South Coast Fencing Center, 1st place and earning his E2018 rating in saber, Costa Nichols, DFA. 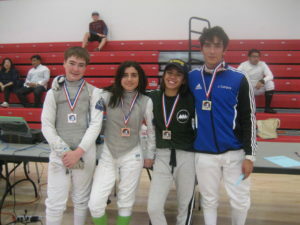 Our next San Bernardino Division tournament will be Saturday, March 17 (St. Patrick’s Day!) This is a combination 3-weapon open event and a “D” & Under events in mixed saber, foil and epee. 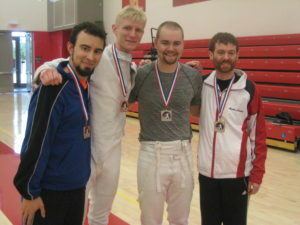 The three weapon events will be first, close of check in for saber is 9:00 a.m., 10:00 a.m. for foil and 12 noon for epee. 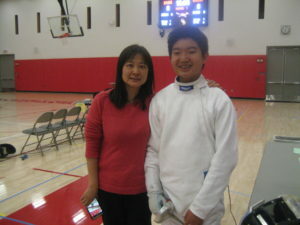 D & Under events, close of check in for saber is 11:00 a.m., 12 noon for foil and 2:00 p.m. for epee. Event fee for the 3-weapon open is $10 per weapon and $25 per weapon for the “D” and Under events. 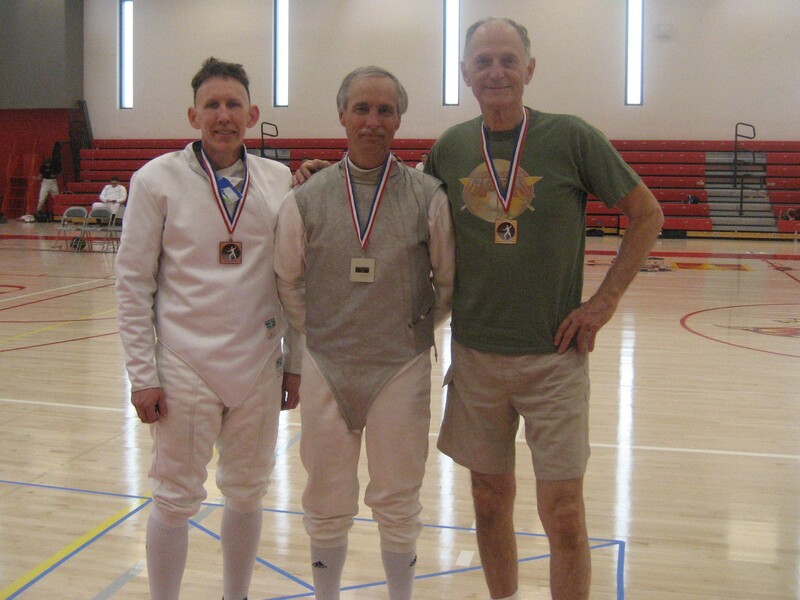 College of the Desert will host the Saturday, February 10, 2018, San Bernardio Division 3-weapon fencing tournament. 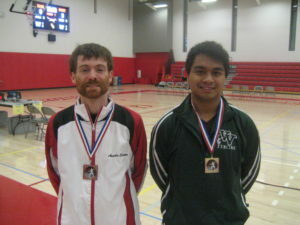 Pre-registration and close of check-in times are all posted on AskFred.net. 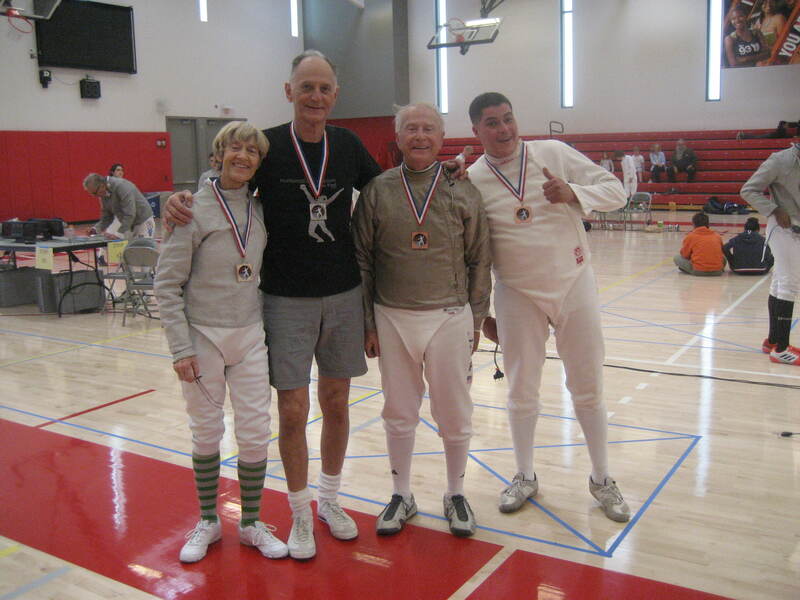 Saturday, March 17, 2018, San Bernardino Division 3-weapon and “D” & Under fencing tournament will also be hosted at College of the Desert. Pre-registration and close of check-in times are posted on AskFred.net. 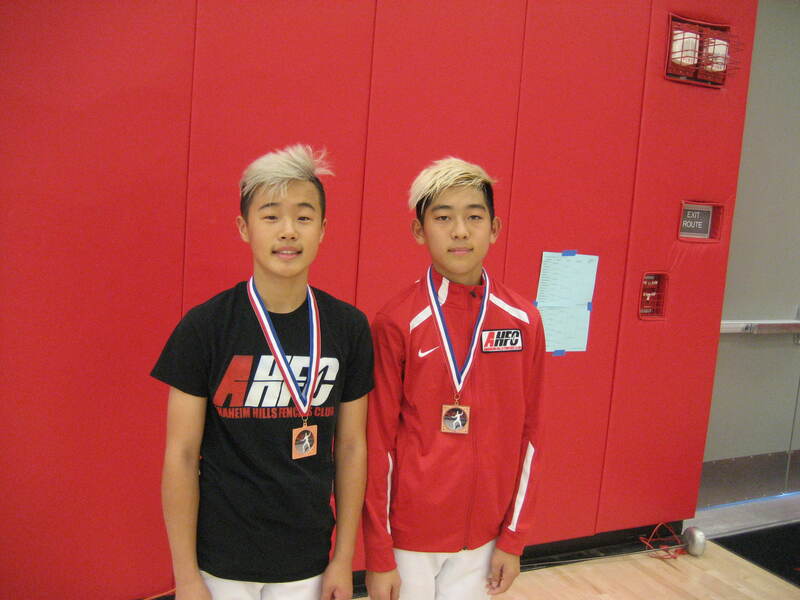 Well, we were wondering how many fencers would come to a fencing tournament on Thanksgiving Saturday and we found out…83!!! 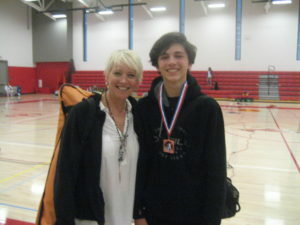 One of our largest tournaments ever! Fencers came from Alaska, Arizona, Florida, L.A., Orange County, Riverside, San Bernardino and San Diego. Thank you to all of you who made our tournament fun and exciting and full of wonderful fencing! 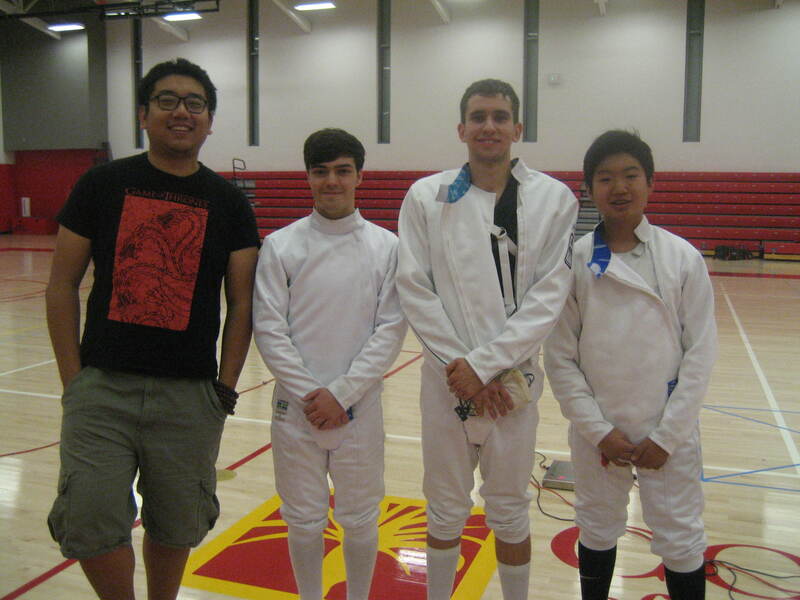 Saber, (l-r), 3rd, Costa Nichols, DFA, 3rd, Christopher Reyes, Laguna Fencing Center, 2nd, Ian Kim, Polytechnic, 1st, William Wun, Cardinal, and earned his E17 rating. 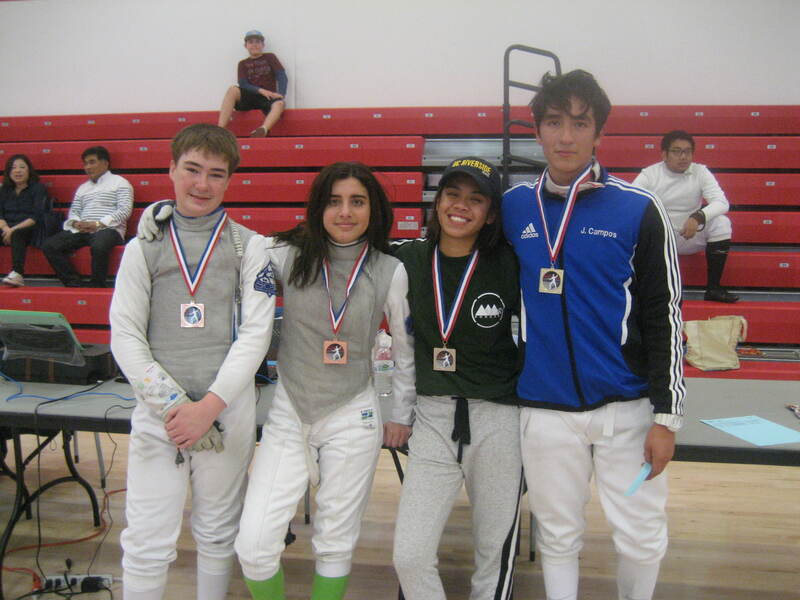 Mixed Foil, (l-r), Nicole Pustilnik, Team Touche, 2nd, Robert Gallegos, UCR, and earned his E2017. Foil (l-r), Brandon and Aaron Kim, Anaheim Hills Fencers Club, both tied for 3rd and Aaron earning his E2017. 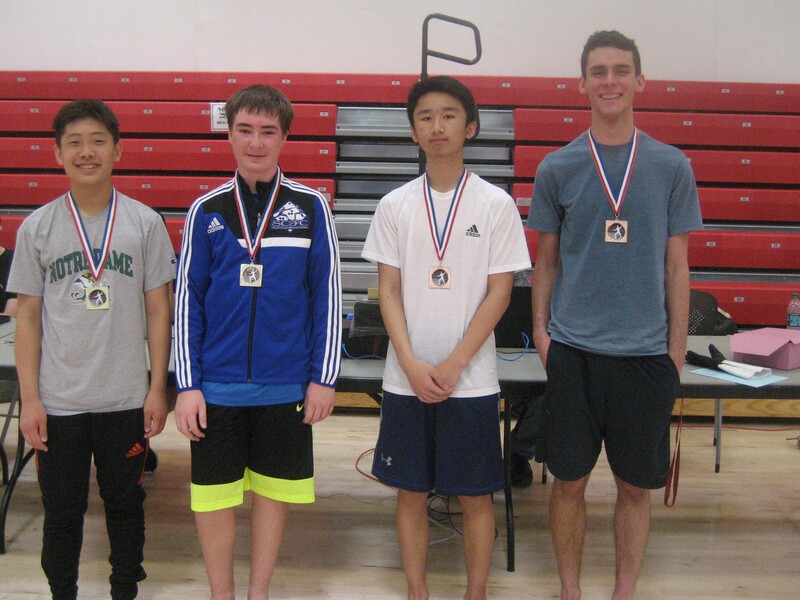 Epee, (l-r), 3rd, Spencer Dingman, Swords, 3rd, Austin Carter, Phoenix Falcons Fencing Club, 2nd, Christopher Kim, Swords, 1st, Pak-Kei Hau, San Diego Fencing Center, and earning his A17 rating. 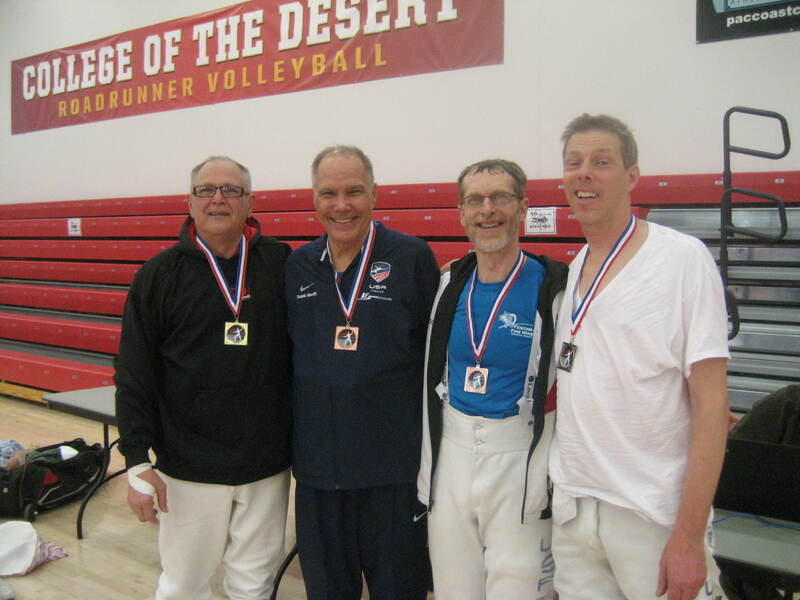 The December tournament will be held at College of the Desert on Saturday, December 9, 2017. 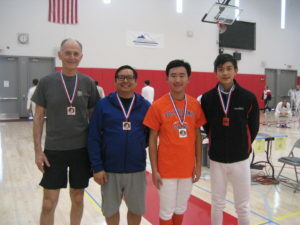 It will be a Division 3-weapon open, same close of check-in times, and also a “D” and under event sponsored by UCR in conjunction with the San Bernardino Division. Please visit AskFred.net. You may pre-register on AskFred, now. You may participate in the Division event (1 weapon max if also participating in a “D” event) or in the “D” and under events, (2-weapon max). We will have rated referees and awards for the “D” and under events. Event fee per weapon is $25. We’d like for the fencers to pre-register so we know how many strips to set up, but if you decide at the last minute to come, you may register at the door.